The Talent Acquisition Coordinator will be responsible for working within the Recruiting Coordination team to understand recruitment strategy and coordination needs as well as to deliver all onboarding activities for MDLZ recruits, internal and external. Processes requests from Team Lead, reviews for completeness and consults with the hiring manager if clarification is needed. Creates requisitions in recruitment system (Taleo) using job description provided. Schedules logistics for onsite interviews to include job descriptions, interview guides, CVs, rooms bookings, feedback, timetables and any travel requirements. Provides offer documentation to new hire and triggers background checks, if applicable. Contacts hiring manager with onboarding instructions, and monitors for background check completion. Starts new hire personnel e-file. Processes relocation documentation for new hires. Responsible for data completeness of new hire records in Taleo to prevent downstream data issues in SHARP. Supports any external recruitment events and activities as appropriate. Excellent written and verbal communication skills in English and Czech/Slovak or English and German. Educated to A-Level standard or equivalent is desirable. Ability to handle complex tasks and logistical challenges. 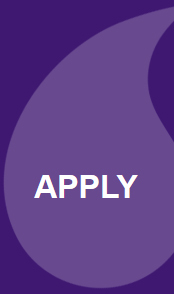 Experience in administrative/coordination within HR or a customer service environment. Experience of working in a virtual environment. Experience in Recruitment coordination and logistics role preferred. Experience of using a process supporting system (Applicant Tracking System, Case Management Tool, etc) preferred. Additional European language skills desirable.